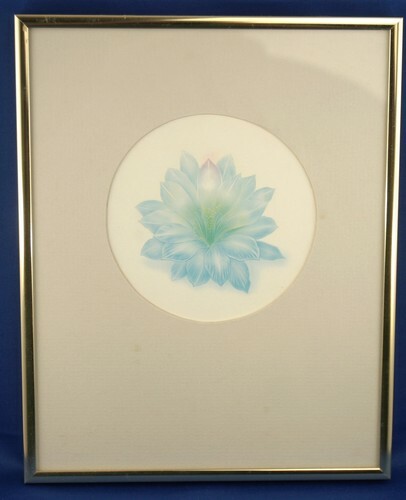 Pretty print of blue flower in metal frame. The flower is blue and white with a purple highlight on the tip of one petal. The ecru mat has a 4 1/2-inch circle. Overall measures about 8 inches by 10 inches.